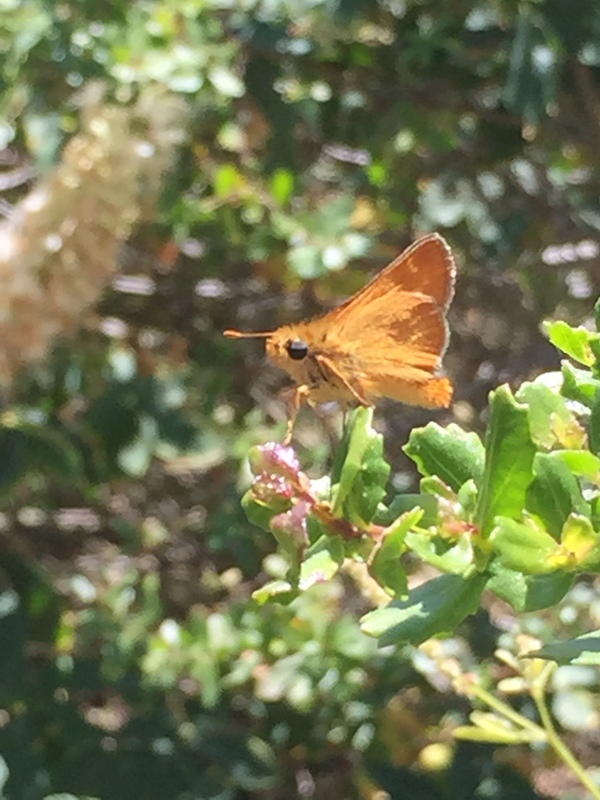 Observation notes: Skipper butterfly was perching on coyote bush and chasing other skippers and occasionally other butterflies. This was in the vicinity of a large flowering buckeye tree growing in the creek bed of Crosley Creek. 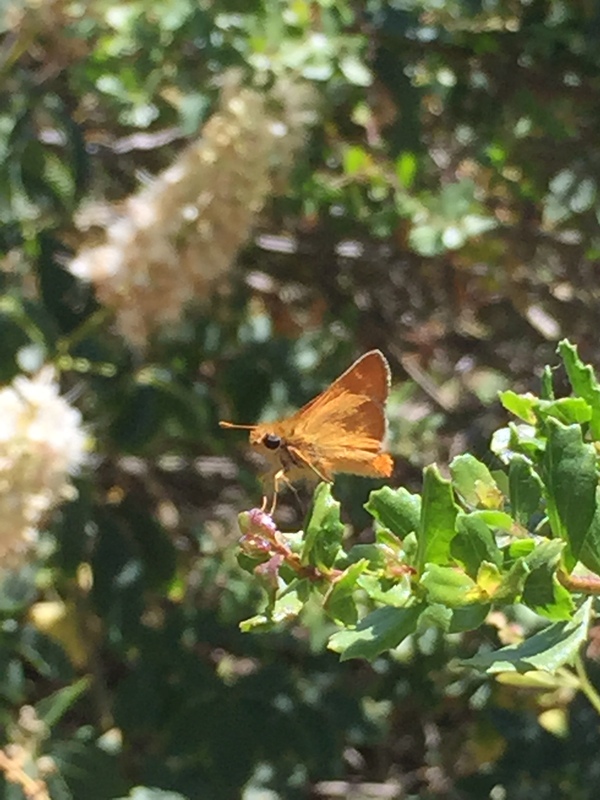 Skipper was not observed feeding. It would return to the same general area to perch. It didn't open its wings while perched. Sunny day with temps in the 80's F.